Limited Edition Giclee Fine Art Prints COMING SOON contact me to preorder. An all new collection started by Contemporary Artist Todd Lawson. 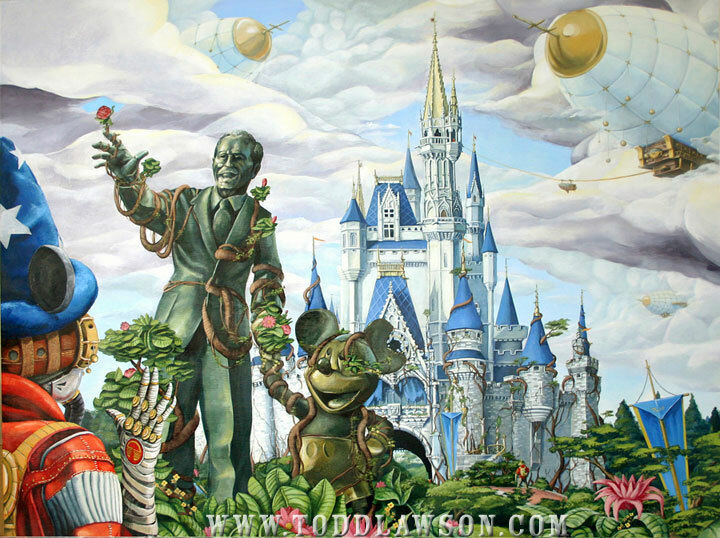 “The World Rediscovered Collection” (A Disney World Inspired Series) is a new direction for Todd’s paintings focusing more on detailed, large scale works. The series is a collection of visual scapes about a future rediscovery of Walt Disney World by a new culture.